Market volatility is not over. Far from it. Political factors (trade wars, North Korea, Iran) are whipsawing the market, alongside more domestic concerns like rising Treasury yields and Federal Reserve policy. However, even in choppy markets there are still buying opportunities to be found if you know where to look. The key is to stay active- but selective. Here we used TipRanks' stock screener to pinpoint the most compelling stocks right now. These are 'strong buy' stocks with notable support from top analysts - i.e. analysts with the strongest track record of rating success, as well as big upside potential. Biotech firm Neurocrine Biosciences (NBIX - Get Report) focuses on neurological and endocrine based diseases and disorders. The Street is buzzing about Neurocrine's Ingrezza drug, the first FDA-approved treatment for adults with tardive dyskinesia. This condition, afflicting an estimated 500,000 Americans, is characterized by uncontrollable, repetitive movements caused by mental illness treatments. In need of retirement guidance? Learn more about TheStreet's new Retirement Daily service here. On its first quarter earnings call, Neurocrine updated the Street with respect to ongoing market penetration for Ingrezza. Growth and persistence with Ingrezza leads to increased momentum, says H.C. Wainwright analyst Andrew Fein. He notes that Neurocrine is now strongly focused on expanding identification, diagnosis and prescribing TD patients. But it is the drug's potential in Tourette syndrome that has investors the most excited about this stock's potential. "We continue to believe that label expansion for Ingrezza from tardive dyskinesia (TD) to include Tourette syndrome (TS) could prove to be a major value driver and further validate the NBIX pipeline," writes Fein. He reiterated his Buy rating on Neurocrine on May 1 with a $139 price target. This translates into huge upside potential from the current share price of 74%. In the last three months, we can see that Nueorcrine has scored 10 consecutive buy ratings from the Street. Meanwhile, the average analyst price target stands at $107 (35% upside potential). MasterCard (MA - Get Report) is on fire right now. Our data shows that MasterCard has 100% support from the Street right now. In the last three months, this breaks down into 11 back-to-back buy ratings. These analysts have an average MasterCard price target of $204. Mastercard is the "most innovative and competitively advantaged payments ecosystem participant" with an "impressive" core business trend, writes SunTrust's Andrew Jeffrey. The payments giant has just reported first quarter results above expectations, with solid growth across all segments. Most notably, MasterCard revealed very impressive gross dollar volume growth of 19% year-over-year compared to just 15% year over year growth for rival Visa (V - Get Report) . As a result, MasterCard has now boosted its 2018 revenue guidance to high-teens from the mid-teens range previously. Five-star Cantor Fitzgerald analyst Joseph Foresi is certainly feeling the heat. He has just reiterated his buy rating while ramping up his price target from $198 to $213. Given the stock's current trading level, the new price target indicates upside potential of 15%. "We like Mastercard's ability to grow faster than peers and its potential to expand margins. Results for 1Q18 were above expectations, with solid growth across all segments," cheers Foresi. He isn't worried about MasterCard's longer-term outlook either, stating that: "We remain attracted to Mastercard's card network and strong products and solutions, which should continue to drive solid performance." Ford's stock could be worth a look finally. Alexion Pharmaceuticals Inc. (ALXN - Get Report) is a U.S. pharma stock best known for its development of rare blood disorder drug Soliris. So far this drug has proved extremely successful. And now, the company is looking to expand into further treatment opportunities. The company is on the verge of snapping up Sweden's Wilson Therapeutics for $855 million, further boosting (and diversifying) its rare disease lineup. Five-star Cowen & Co analyst Eric Schmidt gives the stock his seal of approval. He is looking forward to the new possibilities for Soliris in treating Generalized Myasthenia Gravis (gMG). This is a chronic autoimmune neuromuscular disease that causes weakness in the skeletal muscles, which are responsible for breathing and moving parts of the body. "We think a favorable financial outlook, strong launch for Soliris in gMG, and increased confidence in ALXN1210's profile could position ALXN shares for a potential re-rating as investors gain confidence in the growth and durability of the company's complement franchise," Schmidt writes in his investor report on April 26. So far, Alexion is "very pleased" with Soliris's launch and first full quarter of sales in gMG. Indeed, the gMG launch is now on track to be the drug's best-ever launch says Schmidt. He estimates that gMG sales might have reached between $20-25 million in the first quarter. Bearing this in mind, Schmidt concludes "Alexion remains a top pick" and reiterates his bullish $163 price target (40% upside potential). It's also worth noting that an insider (director Christopher Coughlin) has just picked up $1.21 million of Alexion's stock- bringing his total Alexion holding to over $3 million. The tide is turning for auto giant Ford (F - Get Report) . In a savvy move, Ford has just announced plans to phase out most of its passenger-car lineup in the U.S. market. Instead, the company will focus on the more popular SUVs, crossovers, and trucks. 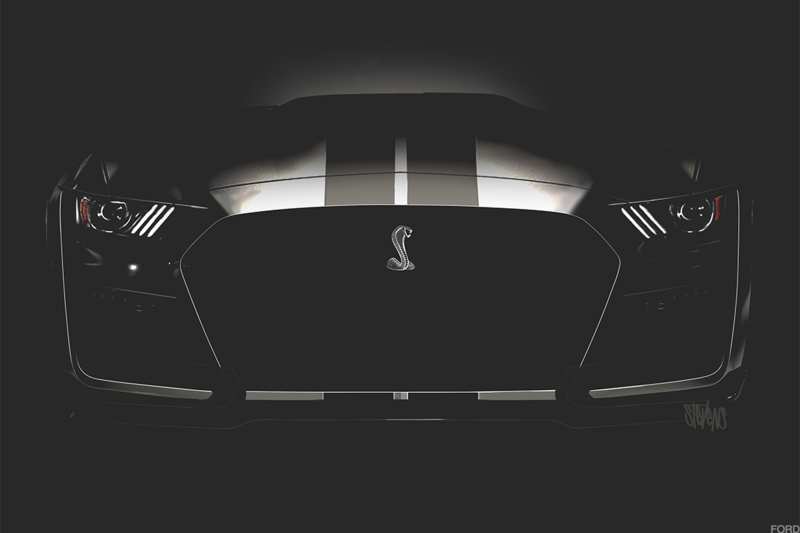 The only remaining remnants from the passenger models will be the classic Ford Mustang, along with the Focus Active. At the same time, Ford is also working on bringing hybrid-electric powertrains to the F-150, Mustang, Explorer, Escape and upcoming Bronco. By 2020, Ford should have its high-performance SUVs in market, including five with hybrid powertrains and one fully battery-electric model. To finance these ambitious goals, Ford is transferring $7 billion in investment capital from cars to SUVs. According to the Street's top analysts, now is the time to step in before prices rise and Ford executes on this plan. Although our data shows Ford as a 'moderate buy' stock, if you limit ratings to only those from top analysts, the consensus shifts to 'strong buy'. Notably, the average price target on Ford from these top analysts works out at $15.50, indicating big upside potential of 36%. "Virtually eliminating Ford's NA car portfolio makes a lot of sense, in our view," comments top-ranked Morgan Stanley analyst Adam Jonas. "No more Fusion. No more Focus. No more Fiesta. No more Taurus." He reiterated his Ford buy rating with a $16 price target on May 3. You may not have heard of IAC (IAC - Get Report) , but you have almost certainly heard of its brands. Think of Tinder, OKCupid, and Angi Homeservices- all these names fall under the IAC umbrella. This is because IAC is a holding company that owns over 150 brands, mostly in media and internet. Right now, shares in IAC are under pressure. The stock is currently trading at $132 versus $160 on May 1. IAC is the parent company of dating megaservice Match.com (MTCH - Get Report) . And Match fell by a whopping 24% last week on the news that Action Alerts PLUS holding Facebook (FB - Get Report) intends to start its own rival dating service. According to Facebook CEO Mark Zuckerberg, Facebook will utilize its vast data reserves to match users looking for more than a platonic friendship. Most intriguingly, Facebook can connect users based on events, which sounds promising. However, according to the Street, such low prices on IAC actually present a compelling investing opportunity. Top Benchmark analyst Daniel Kurnos has just reiterated his IAC buy rating with a $176 price target. This translates into big upside potential of 32%. He notes that even if you exclude IAC's stake in Match entirely, the company still has an attractive valuation. As for Facebook's plans, Kurnos wonders "how FB will deal with the inevitable issues such as stalking, cheating, professionals, etc. that still plague the online dating category." He adds: "We also can't help but feel there is some potential backlash lurking from the recent data leak that may cause users to think twice before putting highly personal information in their dating profiles, or how users will feel about FB having amassed so much personal data to be able to pair them with like-minded individuals." And our data shows that the Street as a whole is just as resolutely bullish on IAC's outlook. This 'strong buy' stock scores an impressive 16 consecutive buy ratings in the last three months. Meanwhile, the $186 price target indicates upside potential of over 40% from the current share price.